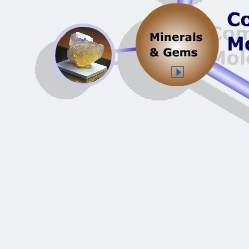 Welcome to the Common Molecules collection, part of the Reciprocal Net project! The molecules in this site are considered common based on their general use or presence in the world in and around us or by the interest they spark because of their fascinating structural properties and innovative applications. We focused on molecules studied in chemistry classrooms of schools and colleges but our growing collection includes also current research results that might be of interest for the general public. 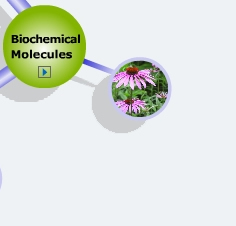 By clicking on a category below, general information on the category and a list of clickable compound classes is given; the latter will lead you to a list on molecules. Individual pages for the molecules can also be reached via an Alphabetical list. 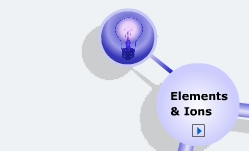 The individual molecule pages provide you with some information about the molecule and a java applet (miniJaMM) that allows you to view and rotate the molecule. The applet JaMM2 features advanced option such as 3D viewing, rendering and requesting geometrical parameters. The presented structural data were obtained by using the technique of X-ray crystallography, one of the principal methods for determining the structure of molecules. In cases where no data were available, the most probable structure of a molecule was calculated using molecular mechanics or low level ab initio methods.